Suitcases: hard or soft? Canvas, polycarbonate or something else? So I'm in the market for a suitcase. And let's start by making it clear that I do need a suitcase: point to point trip on a plane to a cold weather destination with lots of baby stuff, souvenirs and more to carry, so backpacks, carry-on only etc ain't gonna cut it. 80-100L or so ought to do the trick. So here, finally, is the question. Should my new bag be soft (canvas/polyester), hard (polycarbonate) or something else, and why? Recommendations of specific models/brands also welcome. There is no one right answer for this. Either kind of suitcase could serve you well for this trip. In my experience, the quality of the workmanship seems much more important than which type of sides your suitcase has in regards to its ability to protect its contents. You'll want strong sturdy zippers with big teeth that won't break easily, nice thick fabric that won't rip easily or sturdy solid sides that can handle impacts without breaking, sturdy pulls on the zippers, wheels that glide easily, handle that telescopes easily, etc. You can tell the quality fairly easily from a physical examination. Looking at a suitcase from a big box retailer vs. somewhere that carries name brands (Samsonite, Liz Taylor, Tommy Hilfiger, etc. etc.) you will notice a large difference in the quality of the materials, and generally, you get what you pay for, however if you have a store that specializes in one off and overstock merchandise from designer brands (sorry, don't know any of the names of places down under to suggest), sometimes you can get a better deal for the quality. Certainly, there are other features to consider, like whether the suitcase has dividers and zippers to keep clothes separated or organized, or expansion zippers to add space for unexpected souvenirs. Weight is definitely a consideration, the heavier the suitcase, the less weight left for luggage and the heavier it is lugging it up and down stairs to your lodging, etc. For that same reason, picking a size as large as needed but not larger is helpful too...if you only need a medium roller-bag, don't get a large one! Some suitcases are designed with lighter-weight materials than others. Depending on what you are carrying, if the suitcase is flimsier, you will lose less weight of baggage allowance, but the innards will be less protected. How much protection you need clearly varies considerably by what you pack and how you pack it. Many canvas-like rollerbags have stiff sides on 2-5 of the six sides, so you could pack your more delicate items nearer to the stiff sides, and put more clothes closer to the softer side for adequate protection. The type of items you describe needing to transport, the protection provided by a regular rollerbag is probably sufficient, and you don't have the excess weight of a totally hard-sided luggage, and as you said, quite versatile! If you're anticipating transporting your scuba gear in this suitcase regularly, I'd probably pick differently because my primary considerations would be different. PS: perhaps this question would have been better framed as an exhaustive list of the pros and cons of getting hard sided luggage vs a roller bag? Until recently I would fly up to twice a week to various countries and had the travel luggage down to a fine art - and I always go for a soft case with a handle and wheels - remarkably like the one in your picture. For the few things I had that were fragile/rigid I could wrap them in clothing items near the centre of the case and when packed reasonably well with suit/shirts/etc for the journey and work at the other end these used to be remarkably resilient when thrown to the tarmac (happens ALL the time), whereas the polycarbonate one I tried at great expense cracked after a month or so. The only thing that seems to go on them is the zip, so I would replace the case every 18 months to 2 years, but as they are very cheap this was not a problem. How much weight will you be carrying? How tightly do you pack the case? In general hard side suitcases weigh more then the soft side so if you carry a lot of weight an extra kilo or 2 of suitcase is important. If you intend to carry something fragile hard side might be better. Also depending on where you're flying to you might find your suitcase flying out of the plane onto the pavement(yes it does happen) and hard side cases should be able to withstand such a drop but sometimes don't so your stuff may be all over the tarmac. One more consideration is security and theft if your suitcase is one of the unlucky to be open hard sides with their built in locks may not survive this event at all. So as someone said: Choose wisely! Personally I prefer soft cases because wife usually pack it to the brim so lighter case is more suited for that. Nobody yet mentioned the # of wheels. I find 4-wheelers to be more useful than 2 because you can simply roll the suitcase along (rather than pull) when heavy. Personally I favour the large-capacity tough canvas/balistic nylon heavy-duty zippered 4-wheeler suitcases, for reasons others already mentioned. The only challenge is that many canvas suitcases tend to not have TSA locks because they're at the cheaper end of the price scale. I also have a lightweight (not polycarbonate) and sturdy Caterpillar brand 4-wheeler with a TSA lock. My ideal suitcase is the one pictured at the top, but with 4 wheels and a TSA lock. I have a standby expansion strap with combination lock just in case the main zipper fails. I like my soft luggage for many reasons including, durability, weight, and flexibility. I typically cocoon more fragile items in the center between the handle bars. The bars give support and a firm backing while the clothes provide padding from the tosses and bumps you know will happen. Many of these bags are also expandable so if you buy stuff on your trip you have some built in wiggle room. Hard cases crack and just seem more unwieldy to handle. I say, why not just get a hybrid? You'll have the support, protection, and durability of a regular hardshell case with the flexibility and easy-to-reach compartments of a soft-side. Problem solved. Not the answer you're looking for? Browse other questions tagged luggage or ask your own question. Why would you wrap your luggage in plastic? Why would I want a hard-shell suitcase (for air travel)? What is a must-have luggage size? Is two-wheeled luggage still available? How to remove airlines/security tag stickers from suitcases? 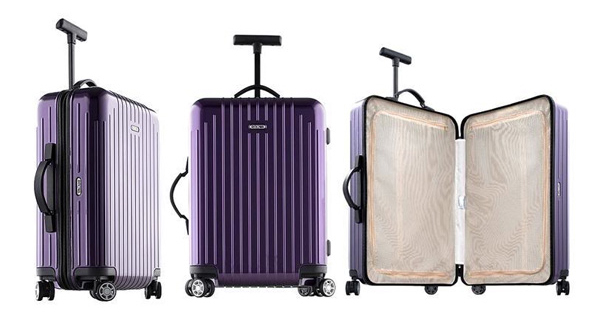 Why aren't there cube-shaped suitcases or bags? How to protect empty suitcases when checking them in at the airport? 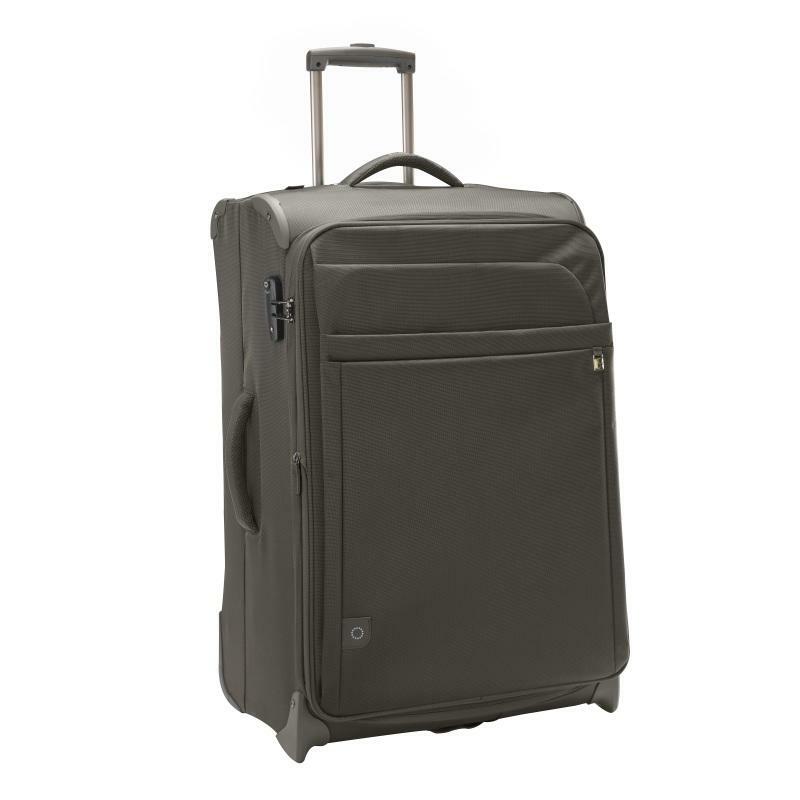 Soft-shell spinner suitcase with brakes (and external side pockets)? Does it exist? Do airlines care about the expanded size on a soft suitcase? What is the goo that gets on suitcases out of the hold and how to remove it? What technique is best for moving two large (23kg) suitcases, reasonably short distances (<1km)? Can Dekko Silverfish paks be used in suitcases/luggage?